Training is essential to the growth of most any company and its employees. Through training staff acquire new skills, build self-esteem and can progress within the company. Additionally, training also increases staff contribution to the company and, through better working practices, can both increase sales and reduce costs. BAR Training Services, the training division of the British Association of Removers (BAR), is the leading provider of training and learning solutions for the removals industry and removals related businesses. It offers training to BAR members and non-Members alike, though only Members can benefit from discounted training. Find out about membership. Depending on the course, training takes place at our BAR HQ offices in Watford, at our Approved Training Centres or, for select courses it can be delivered at the mover’s premises. Ensure your crews are following best practice and staying safe with handling, packing, vehicle loading and customer skills courses. If your staff drive an LGV, HGV or a PCV vehicle they must undergo periodic driver training to remain certified. 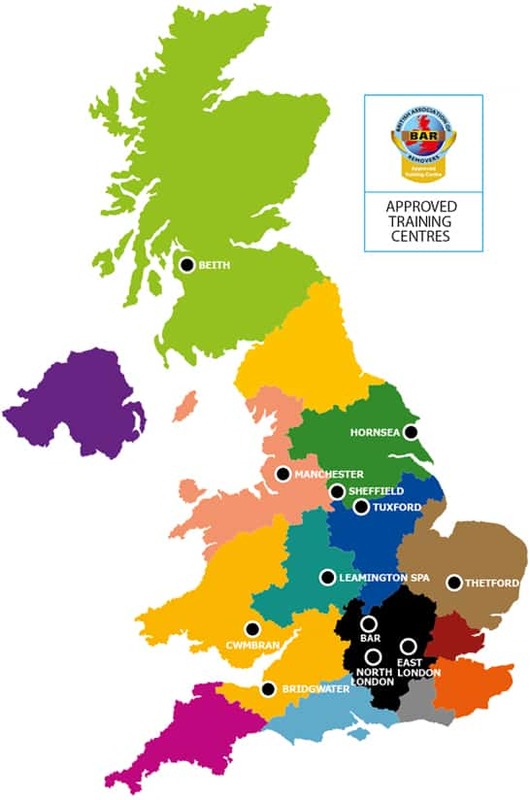 BAR Training Services and a number of the ATCs can offer a range of CPC Courses. For other courses, we utilise out tailored training here at HQ in Watford. Your Estimators (or Consultants) are often the first person from your company the customer meets. Make sure they have the right skills and knowledge to convert more prospects into customers. Provide your managers/teams leaders with the skills needed to effectively manage and motivate their teams. PLUS Specialist courses including Health & Safety and Overseas Moving.